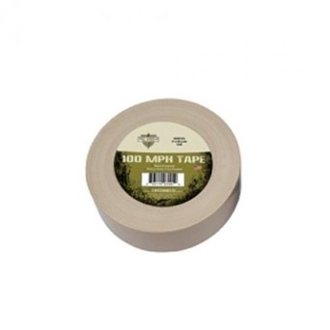 2"X60yd roll of Desert Tan colored 100MPH duct tape made by Tac Shield. This stuff is the real deal and will stick to almost anything! It's definitely not the sissy tape you find in the hardware store! If you can think up a problem, I bet duct tape can have a role in fixing it. Grab a roll for your truck or take a 5-10ft section and wrap it around a pen, lighter, dowel, etc to ensure you have some of this critical resource when you need it.